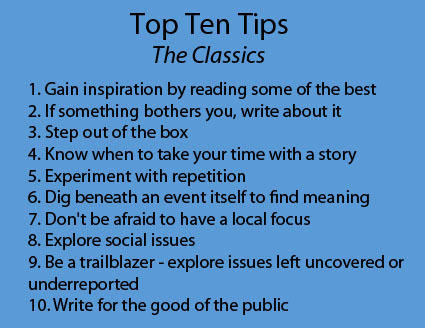 Many seasoned journalists advise aspiring writers to read, exploring the best-written pieces that have inspired, challenged, influenced and brought about change. What makes them captivating? Is it style, use of figurative language or the inclusion of storytelling dialogue? Chapter nine of “America’s Best Newspaper Writing” highlights some of the classic journalism that has had an impact nationally and internationally, including works by Marvel Cooke, William Allen White, Dorothy Thompson and many more. From these works we find that exceptional journalism requires thorough reporting, boldness and a willingness to write about issues and topics that go unnoticed. During the early 1900’s, conditions in the New Jersey State Prison were deplorable, and the late Harold A. Littledale, writer for the New York Evening Post, was willing to expose these truths in his powerful and influential work “Prisoners with Midnight in Their Hearts.” His approach to the story is direct and powerful, the opening line reading, “Bad prisons breed crime, and the New Jersey State Prison at Trenton is among the worst in the country.” Direct, powerful, and a change-agent. Shortly after the article’s publication, reformation within the prisons began. 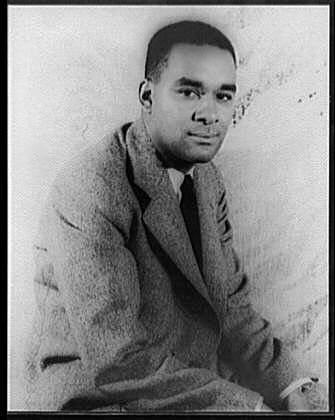 In 1935, Richard Wright, African American writer and journalist, published “Joe Louis Uncovers Dynamite,” a story about a boxing match between black boxing champion, Joe Louis, and Max Baer, a white boxer. The story is particularly meaningful, because Wright is willing to, not only talk about the boxing match itself, but also the meaning behind it. It highlights details that would otherwise go unnoticed yet have powerful impact. During his career, Wright was able to tell the stories of individuals unable to do so themselves. Dorothy Thompson was inspired by other journalists, modeling her work after writers she admired and respected. Her piece “Mr. Welles and Mass Delusion” focuses on the issue of media consumption and its potential impact on politics. It is truly a piece before its time, highlighting a subject that would soon become a reality. This kind of forward thinking has impact and power. W.E.B Du Bois was another African American writer who published influential work during a time when it was not openly accepted. His work “The Souls of Black Folk” allowed one a peek into some of the immense challenges and issues facing black individuals at the beginning of the twentieth century. Written with detail and strength, the work is powerful and revealing. Betty Friedan, late American writer and feminist, was a trailblazer throughout her career. She was a leading participant in the women’s movement in the United States, and published “The Feminine Mystique,” which highlighted the emptiness many suburban housewives felt during the 1950’s and 60’s and their desire for a more meaningful existence. The opening paragraph beautifully sets the stage for the rest of the work. One of the strengths of Friedan’s work is that it provides multiple perspectives of housewives in this situation, using their stories to highlight the issue and convey the stifling nature of their existence. Tom Wolfe is known for his nonfiction work, and his work titled “The Right Stuff,” is an example of captivating writing. Revealing the achievements and struggles that came with being an astronaut during the mid-1900’s, the work talking about the need to have the “right stuff,” whatever that was. These classic works are examples of exceptional journalism and serve as inspiration for aspiring journalists. Whether focusing on style, narrative techniques or use of detail, reading the works of some of the best authors allows for important lessons to be learned.